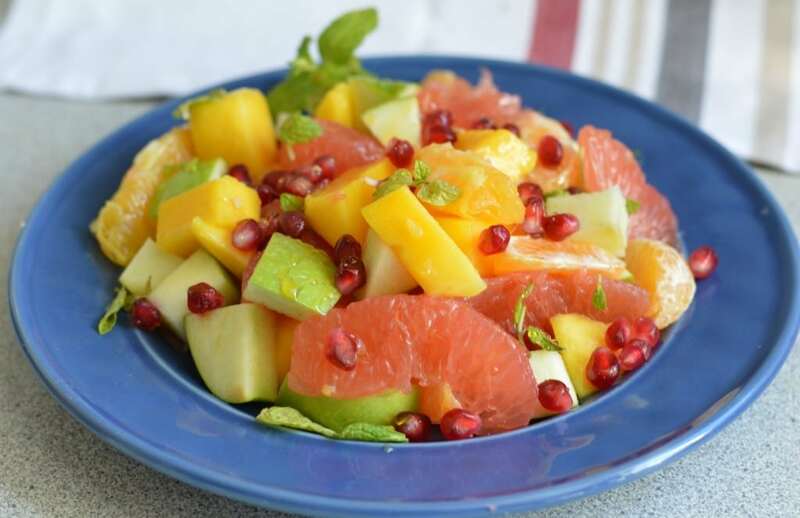 If you are like me and you love salads, this citrus and honey fruit salad is for you. 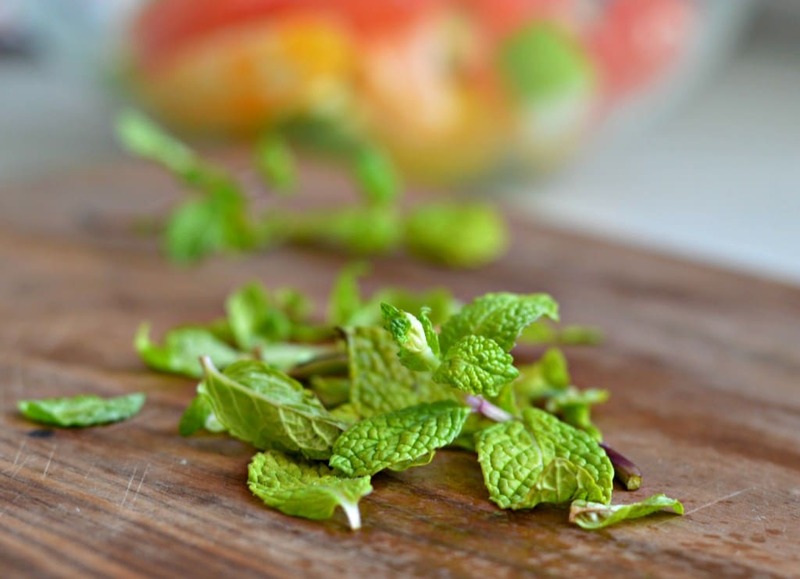 Not only is it juicy, sweet, and refreshing, but it will also give you that extra boost of nutritious energy to make it through the day. Ever since I was a little girl I have loved to experiment with different combinations of fruit. Often you could find me playing “la comidita” (or like a tea party here) in a small plastic kitchen that we had. 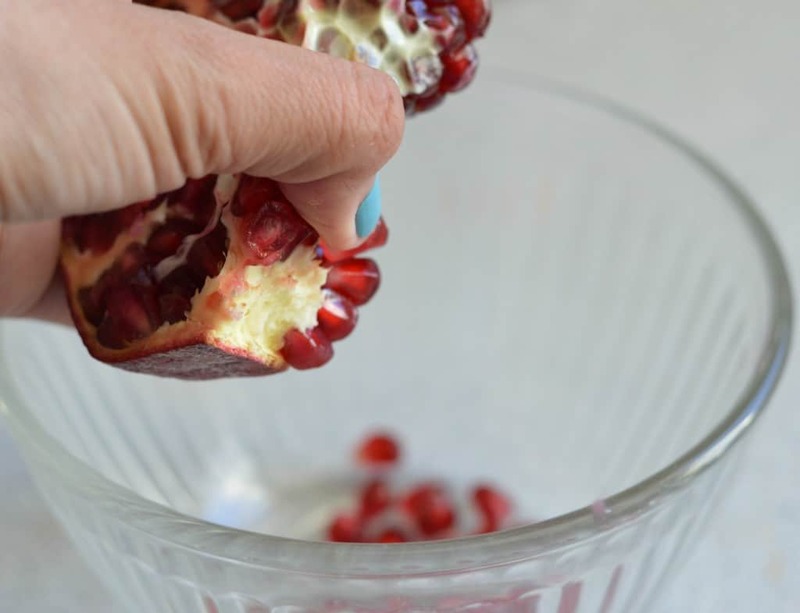 Another great thing is that my grandparents had a lot of land with lots of animals and many, many fruit trees – guava, pomegranate, orange, grapefruit, cherry, banana and of course my favorites – mango trees. 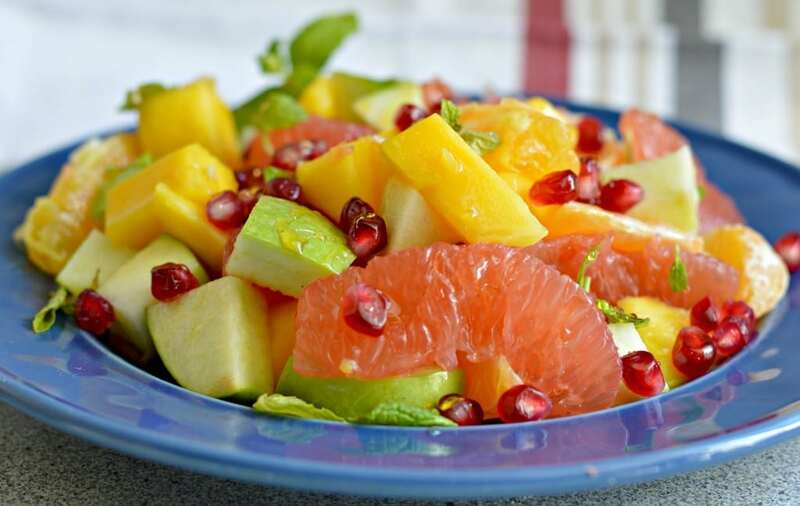 All of that made it easy for us to find fruit for our fruit salads. Of course the fun always ended when the goats and the turkeys came to the table to steal the food! Without a doubt those are some of my favorite memories from my youth. 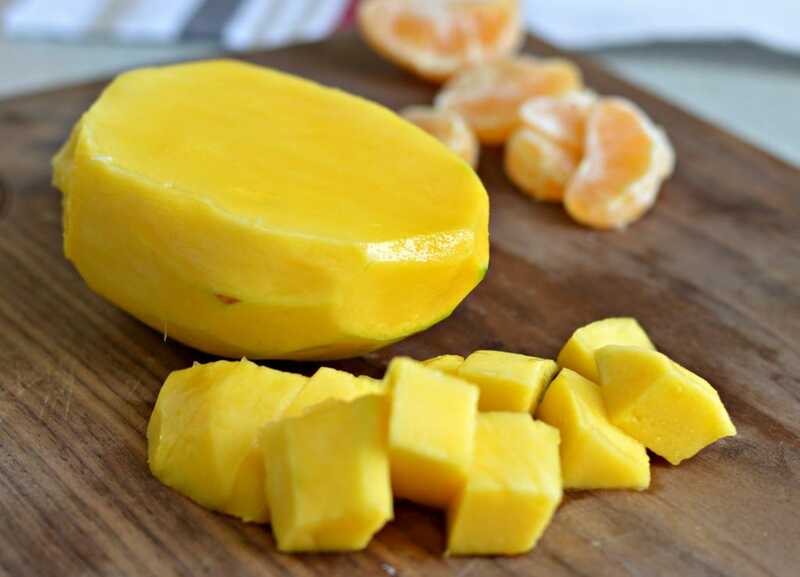 Mangoes are very common in the part of Mexico that I am from – in fact they export them from there all over the world – in fact those mangoes that you just bought at the grocery story are very likely from Mexico! May is the best part of the year to get mangoes in Mexico and the people that grow them are always excited to go and harvest them because people come from all over to buy them during that season and that means lots of extra work for everyone. Another memory I have from growing up was going out with my brother to “hunt” rabbits. We never actually caught anything, but it was all about having fun together and gathering the fruit along the trail. We always found fruit of all different types lying around and we would just eat and eat it. Of course when it was dinner time our mom would always ask us what was wrong, because we were never hungry after eating so much fruit! 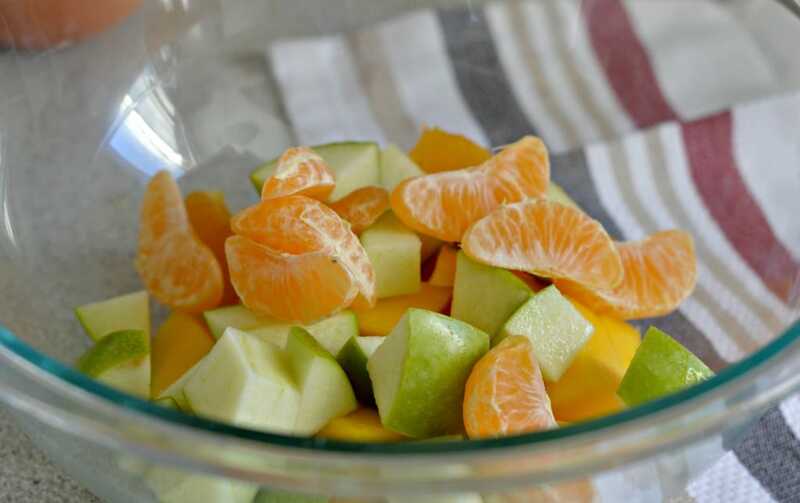 This citrus and honey fruit salad is one of my very favorites – not only because of how delicious it is, but also because of all of the great memories that it brings back when I am making it. I am so blessed to have grown up surrounded by nature and for all of the experiences that I had which made my childhood happy.